Slickdeals News & Articles News Is Hollar.com a Better Online Version of Your Local Dollar Store? Is Hollar.com a Better Online Version of Your Local Dollar Store? We ordered $30 worth of stuff. Here's what happened. The one thing everyone loves about shopping at a dollar store is the price. After that, there's not a whole lot to get overly excited about. Solid finds are usually buried under heaps of junk. The aisles are always a mess (at least in my hometown dollar store). And let's just say they aren't exactly known for their customer service. After hearing about Hollar.com, I was curious to see if it could live up to the early hype, so I placed an order to see what it was like. If you haven't heard of Hollar.com, this digital one-stop-shop is bringing dollar store-type deals to the Internet and has been growing steadily since launching last November. In fact, the company is bringing in over $1 million in sales per month, according to a recent Racked report. A quick scroll through the site reveals a fresh, easy-to-navigate interface. Its most popular items are featured as icons in a clean, Pinterest-like format. A wide range of categories are on display, with toys and beauty products getting prime real estate on the homepage. When I first checked it out, everything from $2 pregnancy tests to $5 T-shirts popped up on my screen. Hollar.com, in my experience, was different from my local dollar stores in that it didn't feel at all like low-budget bargain shopping. Maybe I'm a sucker for their web design, which is strongly slanted toward millennial women -- particularly young moms -- but either way, window shopping on the site was kind of fun. Hollar covers a lot of ground in terms of categories. Home decor, kitchen accessories, electronics, beauty products, clothes, toys and household stuff only scratch the surface. I first nosed around in the electronics section, but it was mostly digital downloads of random kids' movies and some iPhone accessories, so I passed. if I'd been holiday shopping. Right now, for example, you can find $3 Finding Dory swim goggles and $5 Go & Glo Stretchkins. Since my kids are Shopkins freaks, I added a charm bracelet to my cart, which was on sale for $5 at the time. I also threw in an eight-pack of Elmer's fingerpaints for $4 and a boho ceramic toothbrush holder for their bathroom, which set me back another $4. From there, I decided to check out their beauty offerings. I was pleasantly surprised to see name brands here. (I'd been expecting cheap off-brand products.) Revlon and Almay makeup were both available, and their nail polish game was on point with decent offerings from Essie and OPI, my personal favorites. I ended up throwing a bottle of $2 Revlon nail polish in my order before adding a $5 dress. Then I topped off my shopping cart with two 30-ounce Rubbermaid water bottles. My total bill, which was tax-free, came to $30, and shipping is free if you order $25 worth of stuff. If your order is beneath that threshold, you pay a $4.95 shipping fee. (FYI, there's also a $10 order minimum.) You can check out our Hollar coupons page to see if there are any promo codes you can take advantage of. My package came a week later in a super-hip orange box that I couldn't wait to tear into. There were some ups and downs with the unboxing, though. The toothbrush holder, despite having been wrapped in bubble wrap, arrived broken. Two of the fingerpaints had also burst open just a little in transit, leaving a minor mess in their wake. After tidying it up, my kids had a blast making some new masterpieces. The paint itself was high-quality and lasted for several days. The charm bracelet was also a big hit and has since survived multiple school days, so that's a plus. The dress, while cute and in line with my style, was another story. For starters, it's very sheer. (I have to wear a camisole underneath.) And when I went to put it on a hanger, the first button popped off. I don't see myself ordering apparel again from Hollar, but the Rubbermaid water bottles proved to be a solid purchase. My husband and I use them daily. I was bummed about the toothbrush holder, so I gave customer service a ring. This is never any fun, but Hollar surprisingly made it a pain-free affair. There was no wait time or endless prompting; I was immediately connected to a representative, who was extremely nice and eager to make things right. He promptly credited my debit card for the toothbrush mishap since the item was out of stock by the time I called. While some of the products didn't work out here, I only spent $26 in the end and am happy enough with the stuff I got (minus the dress). 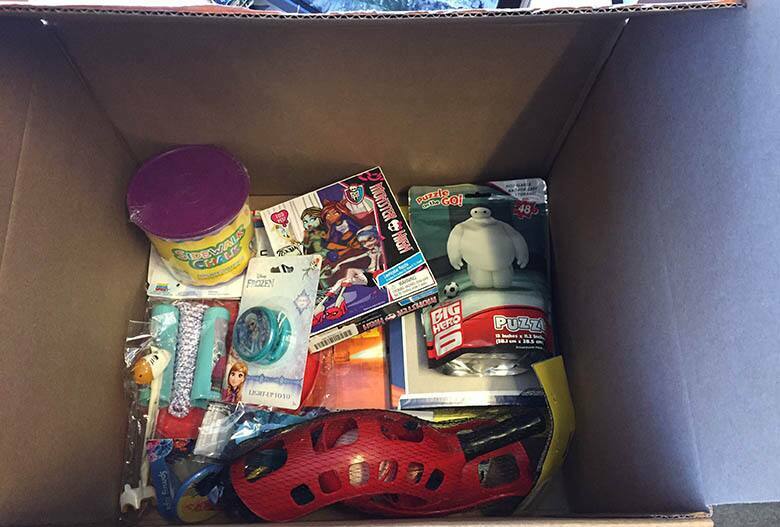 If I had to choose between going to a physical dollar store or shopping on Hollar.com, I'd probably be more inclined to go with Hollar -- I found their selection to be better, and the convenience of home delivery is a real draw. I was also really impressed with their customer service. On the downside, given the $25 minimum for free shipping, I don't see the site winning out over Amazon for me. I'm a Prime member and take advantage of the free two-day shipping constantly. There's also the question of how much Hollar really has in stock. A good chunk of the items I ordered are now no longer available, which leads me to believe that they probably don't have tons of merchandise on reserve. 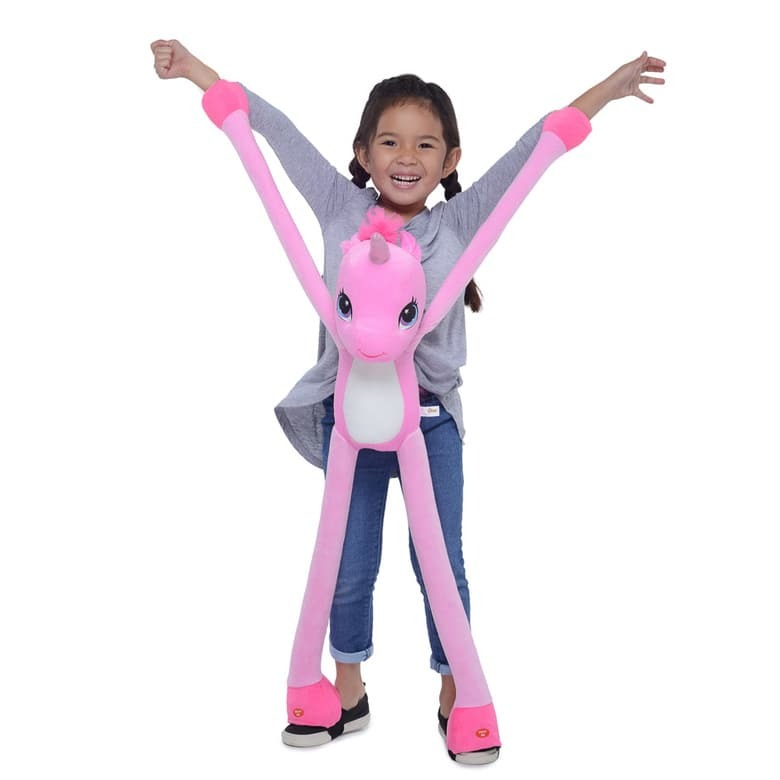 Still, with the holidays right around the corner, I am planning on getting the bulk of my kids' stocking stuffers from Hollar. They also have tons of great little trinkets that are perfect for their classroom treasure boxes. 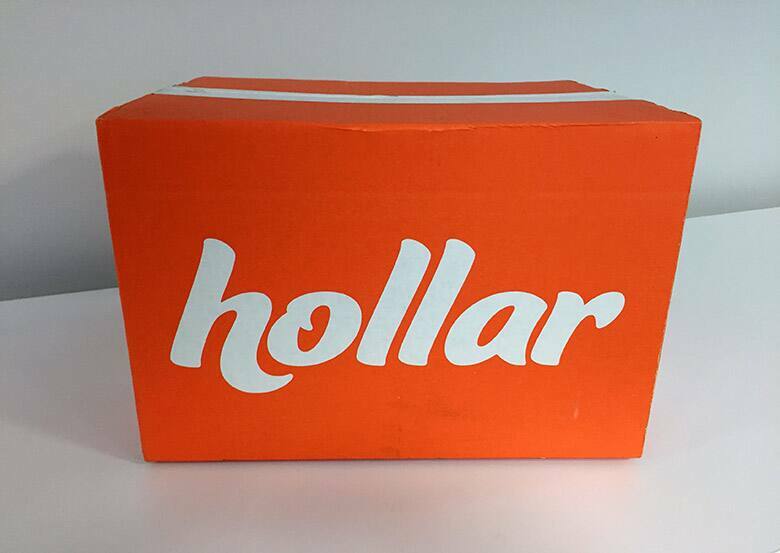 Have you ordered from Hollar.com? Tell us about your experience in the comments below! Get 20% off your Hollar.com order with Slickdeals!